Many people think of Feng Shui as all about mirrors, crystals and plants, but really it’s about the placement of objects in your space for maximum energy and comfort. While the concepts can seem complex, many of the underlying ideas are useful and applicable to any home. 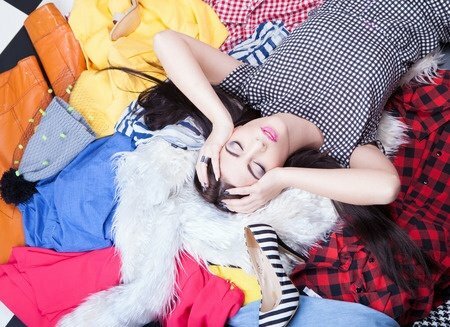 One Feng Shui concept focuses on managing clutter. This means more than having a tidy living room. The clutter issues dig into every closet and cupboard. According to Feng Shui principles, hidden clutter is a sign of a distracted and confused mind. This actually makes some sense. If you’re spending time looking for things, are you really using your home, space and time well? Do you find yourself reaching for the same seven to eight outfits, and pushing clothes out of the way that you haven’t worn in years? That is a waste of energy. If you’re ready to make a change, don’t jump into it all at once. Take one area of your home: one closet, drawer, or activity; and plan the best way to make it useful for you. Do you need to make dinner in a hurry every night? Then take a look at your pantry to decide if it’s organized to maximize your success and minimize your effort. Maybe instead of putting food away by category, you would do better setting it up by meal. Is there a mad rush every morning as the kids search for homework and school supplies? A well-organized space and a plan could change that, reducing stress every morning. Start with one project; get it working well, and then move on to the next. Reduce your stress, increase your energy, and make your life better. Those are the basic concepts of Feng Shui. Take the opportunity to incorporate them into your life.